Steak Au Zoo is constantly revealing itself as a label you should keep an eye and an ear on. This cassette brings the Flowers of Yes! with an album that is magically levitating somewhere between Inca Ore’s dreamy pandemonium and Jarboe’s somber and decisive rituals. 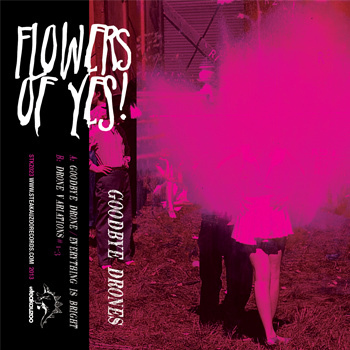 Flowers of Yes! exercise through sound often turns into a an almost too abstract documentation of a psychonaut lost deep within a blue hole, but’s the sheer beauty of this shamanistic endeavor.